We look at how having a diverse workforce can offer your business many benefits, including giving you a range of experiences and skills. Employers have a legal and moral duty to treat their staff equally and promote diversity in the workplace. But having a diverse workplace has many more benefits than simply ticking the right boxes. Today’s typical workforce is very different to those seen in the past. As our population gets older, people are retiring from work later and more women and workers from different cultural and ethnic backgrounds are getting jobs in Britain. Employing a variety of people from a wide range of backgrounds brings different approaches, experiences and skills. It can be good to have members of your team who have a different perspective on your business as this will bring fresh ideas and a new way of looking at things. For companies to thrive, you need people who think and behave differently from each other. Employing people from different cultures can help your business become more global. Increasing your knowledge of people from different cultures and backgrounds can help you tailor your business to appeal to a wider customer base. It can also be helpful if you are planning to expand outside the UK. Embracing diversity in the workplace is looked on in a positive way by others and can boost your company’s reputation. It may also encourage potential employees to want to work for you if they find out your workplace is friendly, fair and inclusive. Having employees with a wide variety of skills who are working towards a common goal will increase staff productivity. It is also useful when it comes to problem solving and decision making. If you put time and energy into promoting diversity in the workplace, you are less likely to find yourself involved in costly court cases involving discrimination claims. 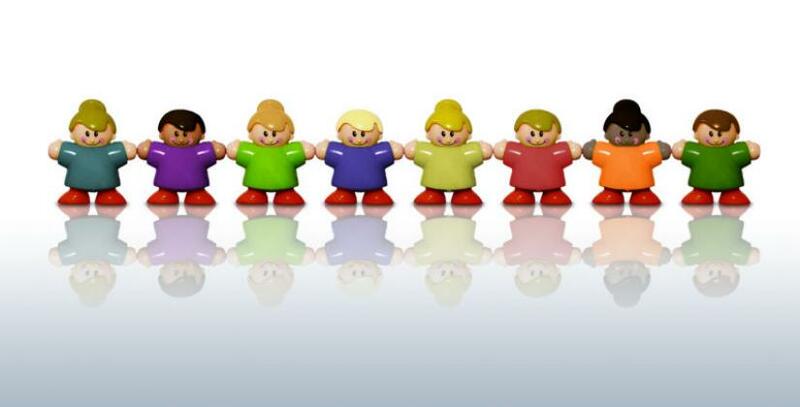 If you employ a diverse group of employees at every level, it will be very difficult for someone to claim they have been unfairly treated due to being different from their co-workers.